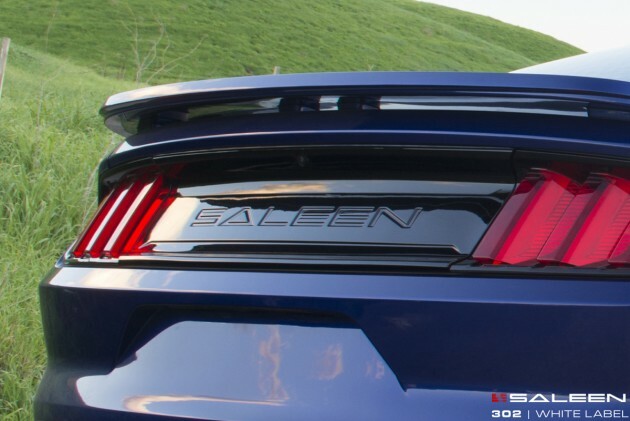 The first 2015 Saleen 302 Mustangs have begun shipping out of the company’s SoCal production facility. The first round of entry-level S302 Mustang White Label models are on their way to customers now, while the more powerful Yellow Label and Black Label models are expected to be revealed near the end of March. The Saleen 302 Mustang White Label takes the 2015 Mustang GT’s 302-cubic-inch Coyote V8 and recalibrates it to reach 450 horsepower. Handling and performance is further improved with enhancements made to suspension springs and spray bar bushings and links, as well as staggered 20-inch silver-painted 5-spoke wheels with ZR-rated tires. 13.9-inch ABS front rotors with four-piston calipers and 13-inch ABS vented rear rotors with single-piston calipers come standard, with 15-inch slotted rotors with six-piston calipers optional in the front and 14-inch slotted and drilled rotors with four-piston calipers available in the back. Other upgrades made to improve aerodynamics include a high-volume intake grille and a high downforce rear wing. These touches also serve to add to the overall exterior aesthetic of the S302 Mustang White Label, as does the “SALEEN” taillight panel, quarter window panel, window banner, chevron fender stripes, and championship wreaths decal. Exterior colors include Competition Orange, Guard Metallic, Deep Impact Blue Metallic, Race Red, Black, Magnetic Metallic, Oxford White, and Ingot Silver Metallic. On the inside, you get embroidered headrests, signature white face gauges, leather-wrapped steering wheel, and embroidered floor mats. Suffice it to say, it’s all kindsa fancy. 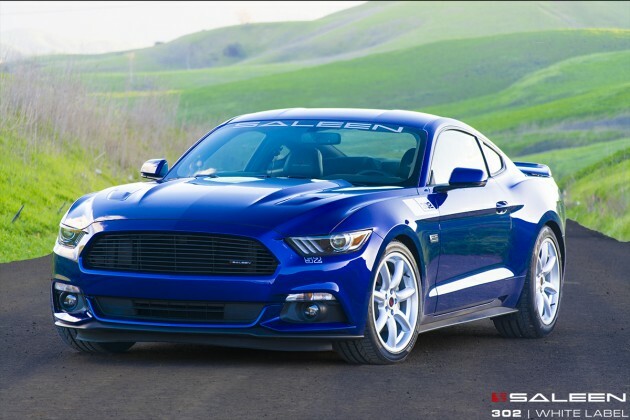 Pricing for the 2015 S302 Mustang White Label is said to start “in the low $40,000s”, and all models come standard with a three-year/36,000-mile limited warranty and one-year memberships to the Saleen Owners and Enthusiasts Club and the Saleen Club of America. The Yellow Label and Black Label models are expected to be unveiled on March 20th.